Office design resources are changing for a variety of reasons. As the workforce ages, new leadership needs to support portable technologies and an increasingly mobile work style. Individual workstations. The accelerating pace of change in. 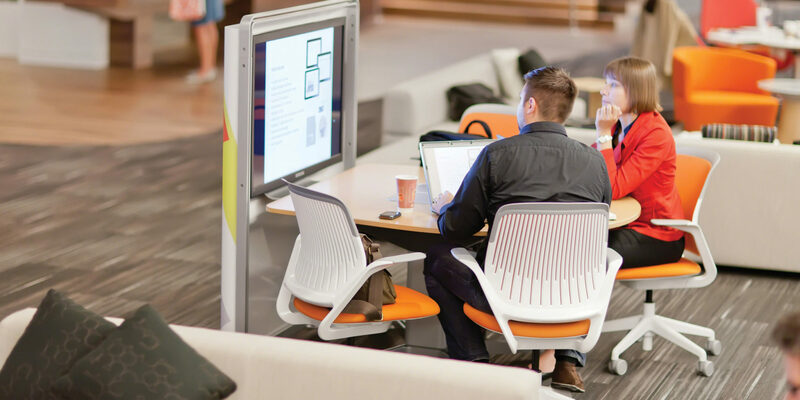 Today’s workplace design trends must foster team collaboration and make the best possible use of individual workstation space. Corporate environments and office design resources are rapidly changing to meet the challenges of new technology, productivity demands, and an evolving workforce. AFD focuses on balancing these workplace design trends with flexible platforms that will provide timely office design solutions for the way we work today and tomorrow. AFD design driven furniture aligns perfectly with workplace design trends for personal and collaborative environments. Our knowledge of markets and workplace design trends is why our customers depend on our expertise to create solutions that fit their environments. We know that providing the right office design resources and solutions can properly convey your image, attract new clients and prospective employees, and help increase productivity and profits. We are a family oriented company providing socially responsible furniture solutions. AFD is proud to be known as a multinational leader in office design resources and solutions while staying true to values of sustainability and innovation.